Leona Maguire has marched into Final Stage Ladies European Tour Q-School after qualifying in second spot at Amelkis Golf Club in Marrakesh, Morocco. 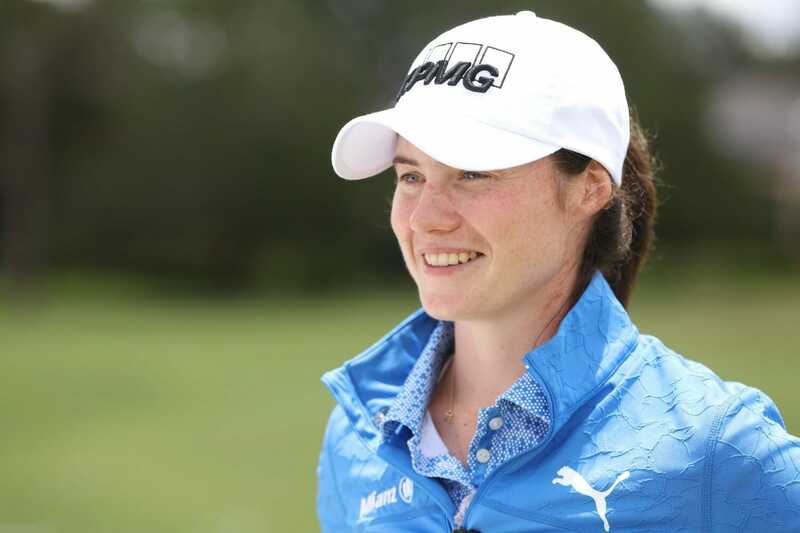 The Cavan professional looked assured in her performance all week and will tee up at final stage having signed off on pre-qualifying with a blemish-free five-under-par round of 67. The former Duke University star finished four shots clear of third place on a mightily impressive 17-under-par total and will be hoping to carry her form into the final test at the very same venue starting Sunday. Unfortunately she won’t have sister Lisa for company after she finished two shots outside the leading 36 players and ties who advanced to next week. Starting from the back-nine, she was two-under to the turn and on track to make it through but three bogeys on the way home scuppered her bid; the qualifying bar at plus-three had been set a couple of strokes beyond her reach. The only player to outdo Leona was Linnea Ström from Sweden who won Pre-Qualifier B by six strokes after scoring four rounds in the 60s in Morocco. The 22-year-old from Hovas posted rounds of 66, 69, 62 and 68 for a total of 23-under-par, to end six ahead of Leona. Indian amateur Diksha Dagar and Austria’s Nadine Dreher tied for third place. Exactly 38 players will progress to the Final Stage, to be played at Amelkis Golf Club and Palm Golf Ourika on December 16-20. Two fields play both courses twice ahead of the final round, to be held at Amelkis Golf Club. Ström’s performance at Amelkis will be a huge boost going into the Final Stage, especially after taking some competitive time out. She wrapped up her Symetra Tour season at the beginning of October after a season that included 10 top-20 finishes and a win in the Sioux Falls GreatLIFE Challenge in September, thereby securing the fifth LPGA card available for 2019. Reflecting on her week at the LET Lalla Aicha Tour School Pre-Qualifier, she said: “I’m very happy with my performance, because I’ve had one-and-a-half months off and I’ve been working on my technique and putting. When you make changes it can take some time so I’m happy to be able to play so well after not playing for a while. It will give me a lot of confidence going into next week. “It was a little hard to recharge after my round yesterday, because everything was perfect. I was hitting it well from the tee box and made almost every putt. 10-under was my best ever score and 23-under is my best ever total as well. The former Arizona State University player, who had a year-and-a-half of eligibility remaining when she turned professional in March, will now join a field of 116 players from 31 different countries looking to secure their 2019 Ladies European Tour cards at the Final Stage, beginning in six days’ time, on Sunday December 16th.